A fun activity to help encourage ladybirds in your garden. 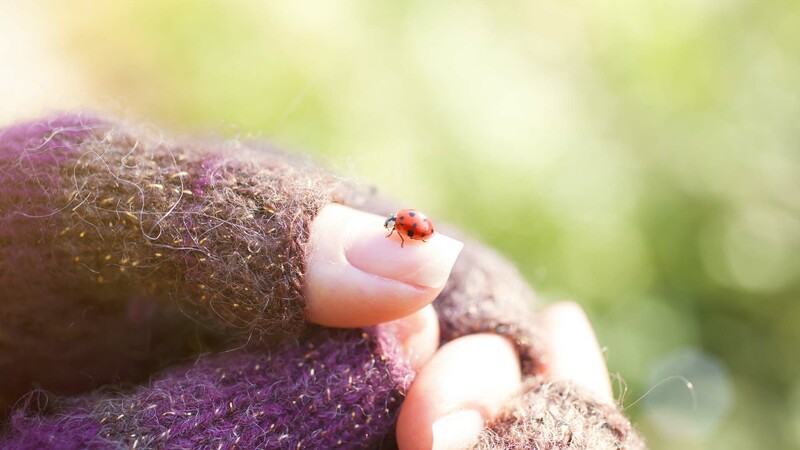 Ladybirds (or ladybugs) love pests and will delight in feasting on spider mites, mealy bugs and whitefly, and so are a wonderful addition to every productive garden. Make sure you encourage the ‘good’ ladybirds, which are usually either bright orange with black dots and are carnivorous (including the common ladybirds) or bold black and yellow (the fungus-eating ladybirds). The ‘bad’ ladybirds are the 28-spotted or leaf-eating ladybirds. They are a lighter orange in colour and can be identified by the 28 black spots on their wings. The following directions are for a cardboard house, but if you have more time, you can adapt these instructions to make one from wood. 1. Using the scissors, cut the card into five squares (12.5 × 12.5 cm). 2. Join the pieces together with masking tape to make a box shape, with one side open to form the entrance. 3. Decorate the ladybird house with paint and lots of coloured pieces of paper – ladybirds are attracted to light blue, pink and yellow. 4. When the paint is dry, place the house somewhere off the ground so it will stay dry. You might hammer a nail through the bottom to keep it in place, or attach it with twine to a hook. An adult should help with this. 5. Make a water bath (ladybirds spend their entire lives in search of water). A yoghurt lid (very narrow) is good as it needs to be shallow enough to only hold about half the size of the ladybird, but you can also shape one out of aluminium foil. 6. Fill the water bath with water to a low depth and gently place it inside the house. 7. Decorate the inside of the house with rocks and twigs (especially if the twigs already have little mealy bugs attached to them) and leaves. Remember not to make the house too heavy! 8. Cut a small piece of sponge (5–7 cm) and soak it with the fruit nectar or fruit juice. Put this inside the house as well. 9. Spray around plenty of fruit nectar or juice and watch over time as all the little creatures start setting up their new homes.